Adventure Math -- PRE-ALGEBRA CURRICULUM BUNDLE -- 40+ Activities! 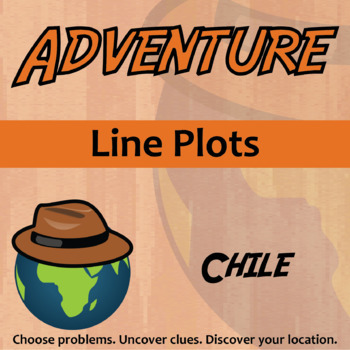 Adventure Math -- ELEMENTARY CURRICULUM BUNDLE -- 56+ Activities! A play on the Adventure books of your childhood, an Adventure assignment allows students choice of which problems they practice. 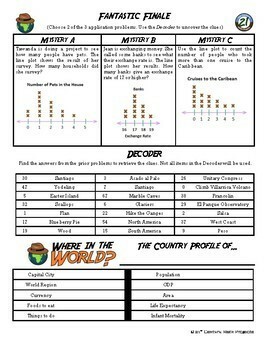 After each problem they receive a clue about the mystery country they are exploring. By the end, hopefully they will have enough pieces of the puzzle to guess where in the heck they are. 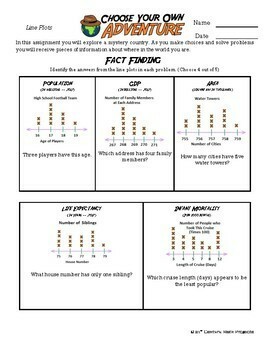 Student choices will affect the types of clues they will receive and allows for additional practice for enrichment or remediation. In my experience, our students are underexposed to many countries of the world and this is a an easy way a math teacher can throw some interdisciplinary content without sacrificing their math! This is a 2 page assignment with an answer key. 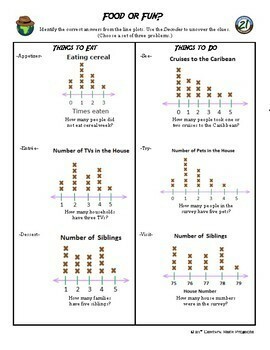 Works great for period long classwork and homework! And join our community where I post ideas, anecdotes, elaborations & every once in a while I pass out TPT gift cards! And jokes! I do jokes too!